The Chief RSMA7720 Mini RPA Elite Projector Mount builds on the foundation of the highly successful RPA Elite mount, offering a compact design and smaller form factor which supports the trend towards sophisticated technology in a small package. 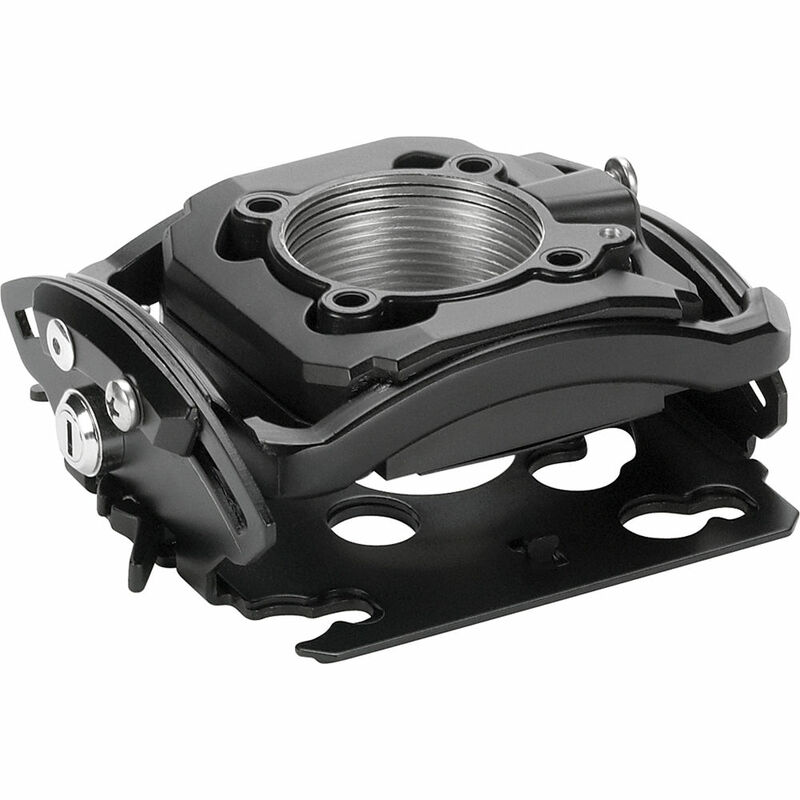 Although 33% smaller than the RPA, these mini mounts maintain 100% of the functionality of the larger mount, with independent MicroZone adjustments and a 25 lb capacity. Centris Technology provides fingertip positioning capability which automatically adjusts to accommodate specific projector weights. Shipped fully assembled, the RSMA7720 is also quick to connect or disconnect for lamp or filter changes via the Q-Lock Release Lever. Besides maintaining precise enough remounting to ensure that registration and preset adjustments remain unaffected, the lever integrates a key and lock security option. The RSMA7720 offers flexible installation options including ceiling flush mounting, 6.35 mm threaded rods or 1.5" NPT threaded extension columns. Box Dimensions (LxWxH) 14.75 x 9.5 x 4.7"